I don’t know if it’s still the case, but for the longest time that statue was the ONLY double-equestrian statue in the United States. Interesting information. I used to go to the museum often years ago but don’t remember a WW statue. Doesn’t mean anything except my power of observation did not pick it up on its radar. 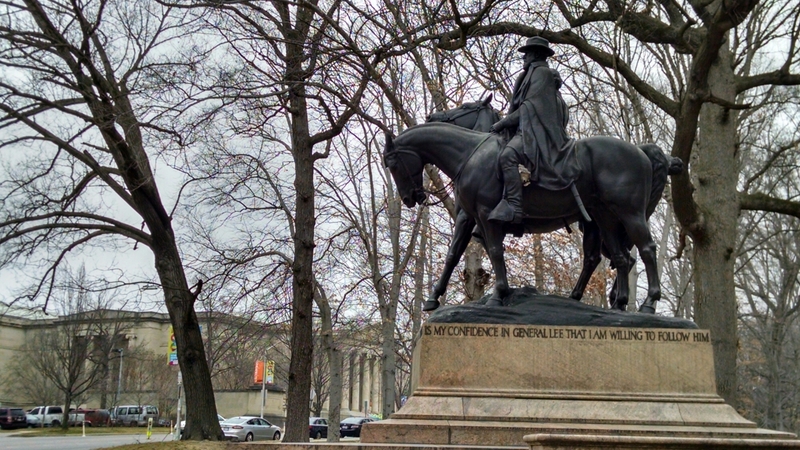 The statue is beautiful and it has a very big hornet’s nest on the Lee’s horse’s underside. Interesting. Gonna have to check it out. A park for Druids and WW…perfect. That is a beautiful museum!